The top Core i7 2000 series, the one that we expect in Q1 2011 is going to work at 3.4GHz. 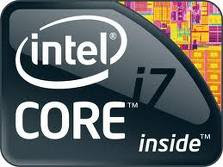 The official name is Core i7 2600K and this quad-core CPU runs at 3.4GHz and boasts eight threads. The K stands for unlocked CPU, something that many overclockers plan to warmly welcome and for less experienced users Turbo 2 will overclock the core to 3.8GHz.